One of the best things about shopping in Duty Free before going on holiday, is seeing what travel exclusive sets are available. I leave my husband in a book shop and have a proper browse around Duty Free to see what's available. There's something special about buying something that you can't get on the high street or any other site! 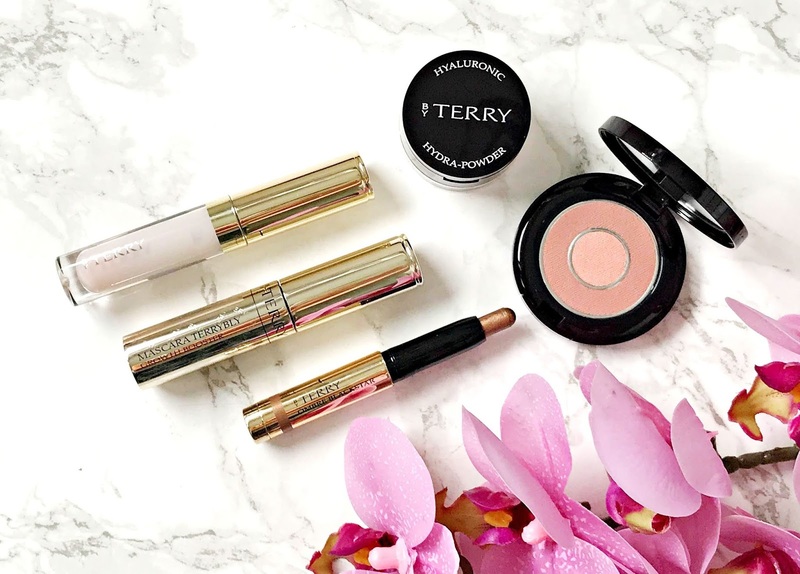 One such set is By Terry My Beauty Favourites Set - A World Duty Free Exclusive, which is a brilliant way to try five products from the luxury brand By Terry for under £40. In this set are deluxe miniatures of five best selling products from By Terry - some I had previously tried, whilst others were on my wish list so I was delighted when this set landed in my post box! There is an Ombré Blackstar in the classic Bronze Moon shade, which I have almost run out of in the full size so this came at the perfect time for me. These shadow sticks are perfect for a quick sweep of colour on the eyes - I buff the edges with a fluffy shadow brush and I'm good to go but it's also ideal to use as a cream shadow base. I have also almost finished a tube of Baume De Rose, so again I was delighted to find one in the box. I personally prefer this style of balm to a pot as it's quick and easy to apply with the doe foot applicator. I love how this nourishes my lips and I also love the subtle rose scent. I remember hearing Millie Mackintosh raving about Mascara Terrybly a few years ago and it has been on my wish list ever since! Apparently, it helps with lash growth but I can't comment on that yet but what I can say is that the brush is thick, which I like and it adds volume, which I love. Hyaluronic Hydra-Powder is another product that has been on my wish list or a long time. Due to having dry skin, most powders don't suit me but this one doesn't cake or accentuate any dryness and it also doesn't leave a white cast on the skin. I can see myself buying a full size of this! I think this is a great little set as the sizes are generous enough to allow you to decide if you like the product enough to buy the full size. I'll definitely be taking these on my holiday next month as they will take up very little room in my bag! Available in World Duty Free for £39.95. Have you ever purchased a travel exclusive set? I'd love to hear! Don't forget to enter my Anastasia Beverly Hills Norvina palette giveaway here. Four treats for four budgets!